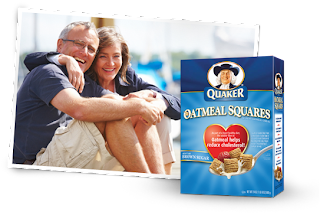 The Thrift World: Free Quaker Oatmeal Squares sent to your door! Quaker is giving away free cereal, with free shipping. So tell your mom, tell your roommate and don't forget to send a couple to yourself (using different email addresses). I actually really like Oatmeal Squares, so I'm excited about getting my free samples in 6-8 weeks. Sign up here at deals.woot.com. Just click "I want one" and then on the next page click "share the squares" - enter your email address and well as anyone else you'd like to give free cereal. Then check your email and follow the link. Bam! Free cereal sent to your door. Not a shabby deal. Thanks, Jeremy, for the tip!